I know that mashed potatoes are a staple in most American homes. My husband is a meat and potatoes man, so we have them a couple times a week. I make them like most of you do, BUT for special occasions, I like to make things a little more decadent. My Company Mashed Potatoes ALWAYS leave my guest asking what my secret is. After you have scrubbed and washed your potatoes, you will need to peel and dice them. **Kitchen Tip** I like to peel my potages over a plastic bag. This makes for easy clean up! Once you have peeled and diced your potatoes, you will need to add 1 tsp. of salt to them. Like pasta, this is the only time you have to actually season the potatoes themselves. Cover them with water and place over a high heat. When you can insert a fork into your potatoes and it comes out easily, they are ready. Once ready, strain them and return to your pot or a serving bowl. And your half and half. Use your potato masher to get the potatoes as smooth or as chunky as you like! Other great tools for this are hand mixers, potato ricers, and food mills. Once you have added the seasoning salt and pepper, taste. If you feel it needs more salt, add it a pinch at a time. Remember, you can add more salt, but you can't take it away. 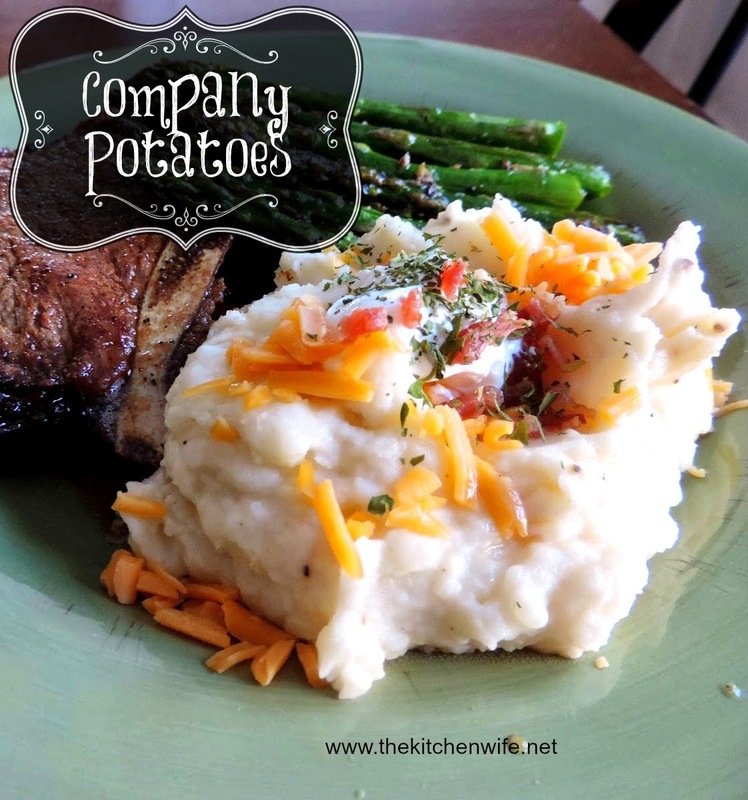 Serve your Company Potatoes up with your favorite entrée and enjoy! These potatoes are rich, creamy, decedent, and full of great flavor! 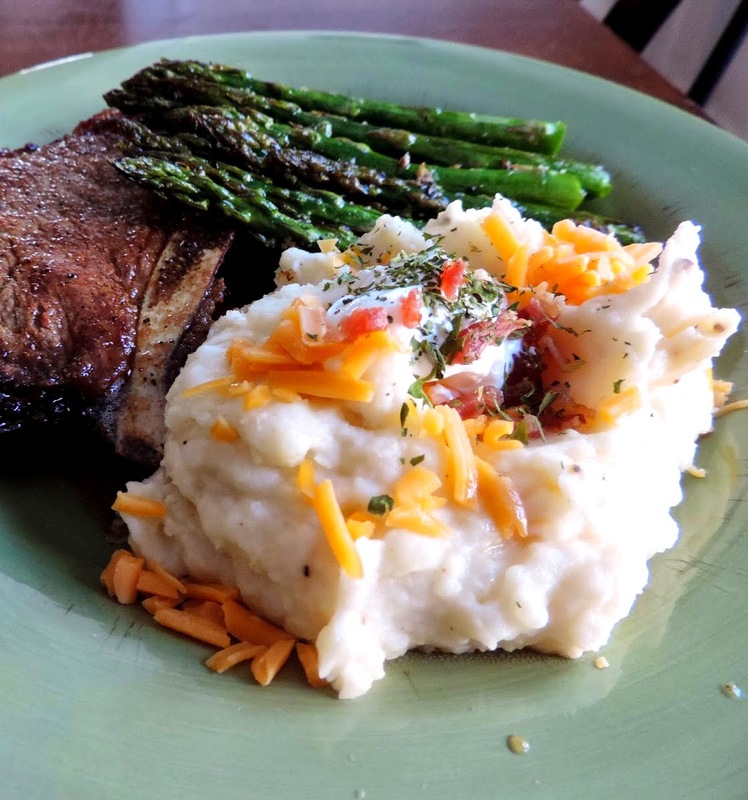 Of course, this is not your everyday mashed potato, but if you want to make someone feel special it will do the trick! Rinse and scrub your potatoes. Place in a 2 qt. sauce pan. Add 1 tsp. of salt and cover with water. Place over a high heat and bring to a boil. Allow to cook for 15 minutes. Drain and return to pan or mixing bowl. Add melted butter, half and half, and cream cheese. Use masher to get the potatoes to the consistency of your choice. Add season salt and pepper. If more salt is needed, add a pinch at a time.